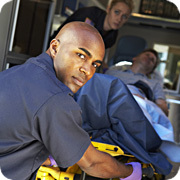 Emergency Contact Data empowers you to easily create and maintain your personal medical records. You can use your medical records to address your everyday healthcare needs and to assist medical personnel with improved medical outcomes including saving your life in emergency situations. Medical errors are the third leading cause of death in the United States; killing 251,000 people. These are the known deaths from medical errors. The actual number is unknown. Medical Errors harmed 43 million people worldwide, resulting in the loss of nearly 23 million years of "healthy" life. ”We find that millions of people around the world are hurt, disabled, and sometimes even die as a result of medical errors,” lead author Ashish Jha, professor of health policy and management at HSPH, stated in a press release.